Thanks to this thread, I had called this company and I had Ken come out less than 2 weeks ago (two weeks Sunday) and he measured and gave a price. He came on a Sunday as it was convenient for me, and I don't live anywhere near Mississauga and in fact, I live northeast of Toronto but that didn't deter him. He came here, explained everything, took measurements and he couldn't have been nicer, more professional or polite. He gave us the price which was a very pleasant surprise as we had been looking into blinds and shades and in fact, the price he quoted was less than what it would have cost us to have the blinds and shades. (We're talking Hunter Douglas so yes, they do tend to be expensive). Anyhow, we were more than pleased with the quote and we agreed. Ken left with a deposit and a promise to return to install today, 16 Sept. between 10 and 11 .m. True to his word, he showed up today at 10:15 with his helper and they brought all of the material in. They removed their shoes even though I insisted that it wasn't necessary but they would not hear of it. They actually left their shoes outside which I thought was so thoughtful, albeit unnecessary, but hey, it's the way they do things. The install went very well and unfortunately, we had neglected to move a few things out of the way which we had intended to do but forgot. NO PROBLEM. They removed them without saying a word and without whining or anything. Again, very professional. When I realized that I had forgotten to do these things, they insisted it was no big deal. They worked non-stop and they were tidy, made very little mess and any minor mess that was made (dust from the drill) they cleaned it up. The 15 windows were completed in around 4 or less hours and they look spectacular. These two guys, Ken and Nano (sp?) were fabulous and they go right on the top of my list of flawless and painless work that I've ever had done around my home. I would recommend them in a heartbeat and if you're looking for great shutters, great price, professional installers and salesman (he was not the least bit aggressive or hard-core) then this is the company for you. No, I'm not a shill. 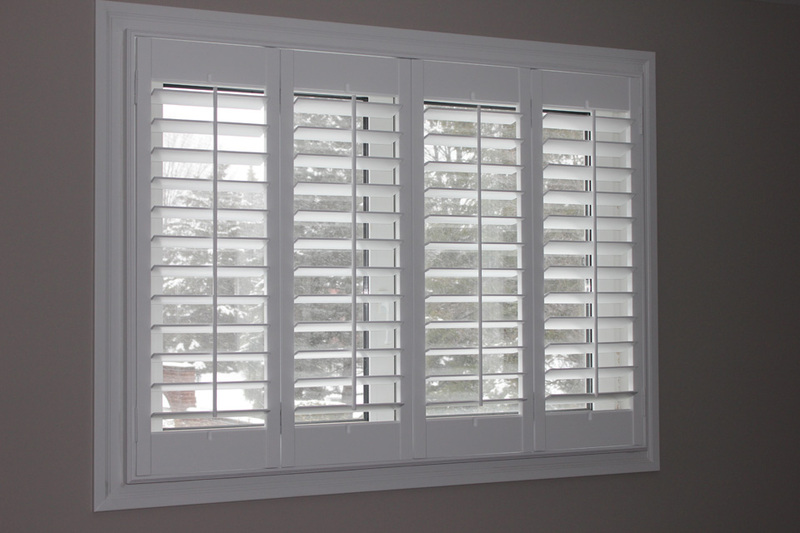 You can see from how many posts I've made on here that I'm not new and I rarely make any sort of recommendation about any product so do yourself a favour if you're looking for a great company to do your shutters. You will not be sorry.